Honda recently delivered 2013 Fit EV battery-electric vehicles to Google Inc. and Stanford University as a part of the Honda Electric Vehicle Demonstration Program. Along with the city of Torrance, Calif., each participant is now conducting general testing as well as providing specific feedback related to the future introduction of electric vehicles. The Honda Electric Vehicle Demonstration Program participants are the first recipients of the 2013 Fit EV in the United States. Honda debuted the 2013 Fit EV at the 2011 Los Angeles Auto Show and announced plans to begin leasing the 123 city-mile per charge (76 mile range combined adjusted city/highway)1 battery-electric commuter vehicle to customers in select California and Oregon markets during the summer of 2012 with a rollout to east coast markets planned for Spring 2013. Equipped with a 20-kWh lithium-ion battery and 92- kW coaxial electric motor, the Fit EV battery can be fully recharged in as little as 3 hours when connected to a 240-volt circuit. 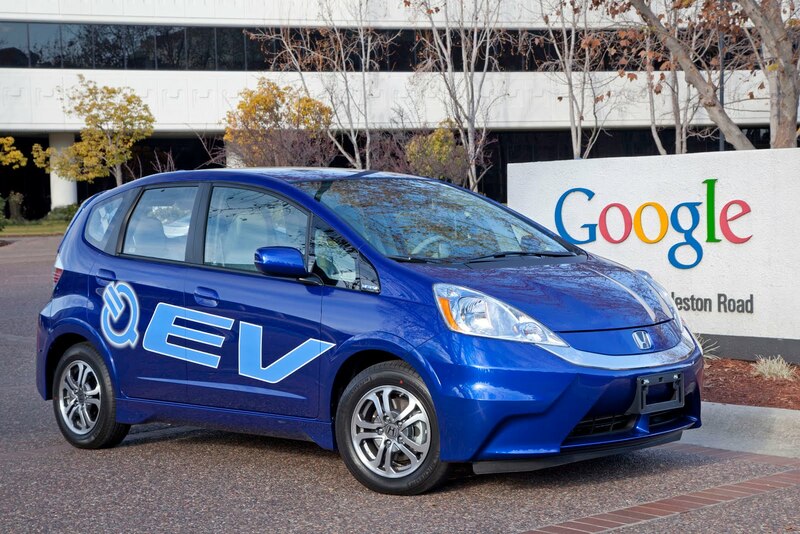 The delivery of the Fit EV to Google Inc. was marked by an employee ride and drive. Nearly 100 ‘Googlers’ took the Fit EV for a spin around the Google Mountain View, Calif., campus. Google will now use the Fit EV as a part of its G-Fleet, an employee car-sharing service that features numerous plug-in vehicles. Google’s participation in the Honda Electric Vehicle Demonstration Program will involve analysis of vehicle usage including CO2 reduction, energy consumption on a miles/kWh basis and overall energy cost. Over the past year, Honda has collaborated Stanford University professors, researchers and students from several departments including Mechanical Engineering and Psychology through various seminars and classes. The year-long collaboration resulted in a research direction on how to study the psychological and physical reactions of using battery-electric vehicles and how these reactions differ when driving a traditional gasoline-powered vehicle. With the Fit EV now at Stanford, the research team will use both the battery-electric vehicle and a gasoline-powered Fit to test their theories. Successful methodology implementation will yield a goal of not only decreasing anxiety associated with new technology, but also increasing joy in the driving experience. Ultimately, the research results will help Honda to better understand customer acceptance of battery-electric vehicles and how to overcome physiological obstacles associated with the adoption of new technologies.